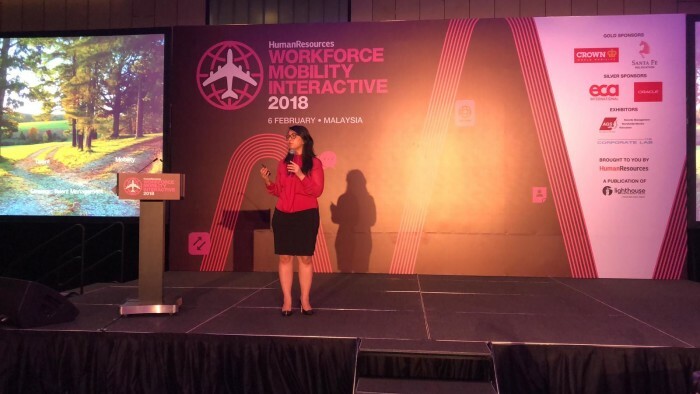 Welcome to Workforce Mobility Interactive 2018, Malaysia; the regional invitation-only mobility event for HR leaders and senior mobility specialists! 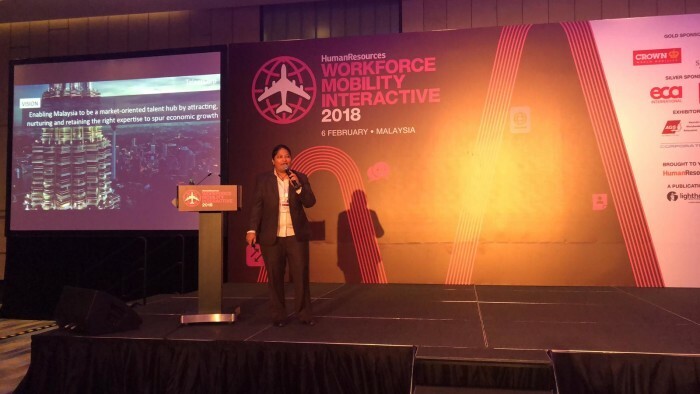 Today’s conference will see speakers from Citi Malaysia, Crown World Mobility, PETRONAS, and more sharing their insights into some of the biggest challenges through keynote presentations, panel discussions and interactive roundtables. 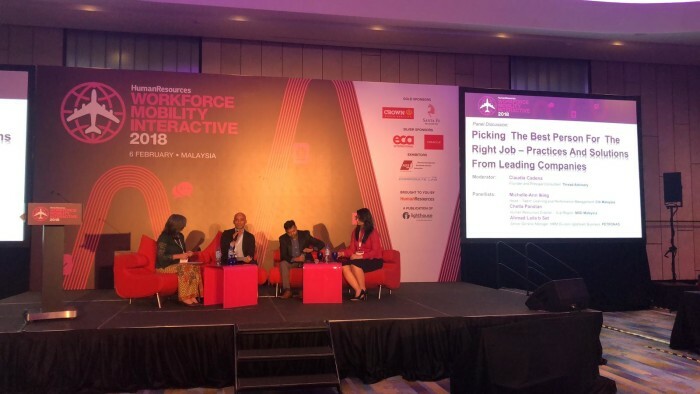 On this page, you can catch live updates from the conference, brought to you straight from Aloft KL Sentral with the most recent session updates appearing first. Once again, thanks to all of you delegates for making this conference a wonderful one. We look forward to seeing you again at our other events and hope you have a safe journey home. Introducing our next speaker to you, she has served at TalentCorp since its inception in 2011, and is currently the sector relationship manager for FMCG, biotech, agriculture, tourism and F&B. Not only that, she manages the central region and global markets in the industry partnership division. She is also the lead for MyAPEC YouthConnect, a TalentCorp initiative that provides youth the opportunity to gain a global mindset, industry knowledge and international insights. Today, she will be sharing her industry perspectives on enhancing growth and managing talent market challenges through collaborative talent mobility practices. It’s time to pick her brains, let’s give a warm welcome to Farah Delah Suhaimi, manager, industry partnership and engagement, Talent Corporation Malaysia. Marking the final interactive session of the day, we hope to get the chatter going with the topic on Technology for mobility – which will be hosted by Akshita Manivannan, territory lead, digital HCM, Oracle; and Francois-Xavier Groleau, regional sales manager, SEA, Crown World Mobility. Diving into the third interactive session of the day, one of the topics covered is on Getting your returns on relocation with table hosts are Wytinne Cheng, regional HR director, Southeast Asia and Pacific, Jotun; and Fathima Mohamed Zakaria, mobility manager, BASF Asia Pacific Service Centre. Today, we have the pleasure of having an HR expert as the moderator for our panel discussion. She comes with more than 25 years of professional experience in the areas of strategic, advisory and operational HR. Please welcome Claudia Cadena, founder and principal consultant of Thread Advisory. Joining her are panelists Ahmad Laila Bin Set, senior regional manager, HRM division, upstream business, PETRONAS; Chella Pandian, HR director, sub region, global talent development lead for Merck Women Network, MSD Malaysia; and Michelle-Ann Iking, head – talent, learning and performance management, Citi Malaysia. They will be talking about one of HR’s favourite topics: Picking the best person for the right job – practices and solutions from leading companies. Moving on to the next interactive session, one of the topics is Reviewing the Expat Package. 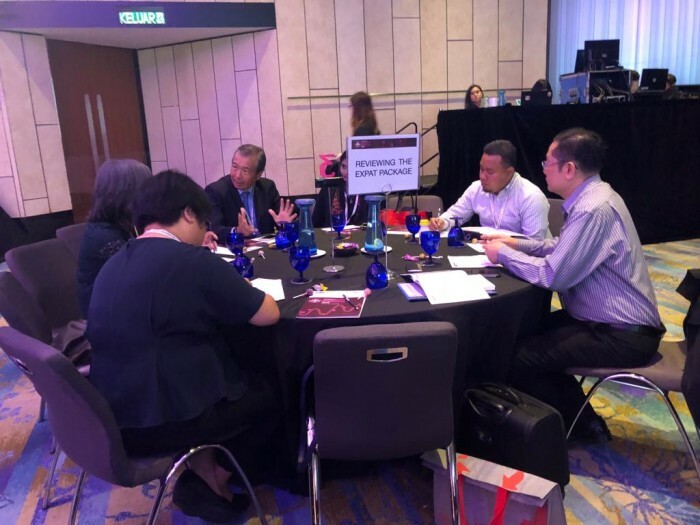 The table hosts are Peter Ling, executive director, group human resources, Tropicana Corporation; and Lee Quane, regional director, ECA International. Our next speaker from Crown World Mobility manages the international expense management programme for eight key account clients, with an annual portfolio of US$200 million. As the lead for the financial services team at the company, she focuses on providing smart and sustainable solutions to optimise mobility programme costs for clients, increasing quality and improving financial compliance. 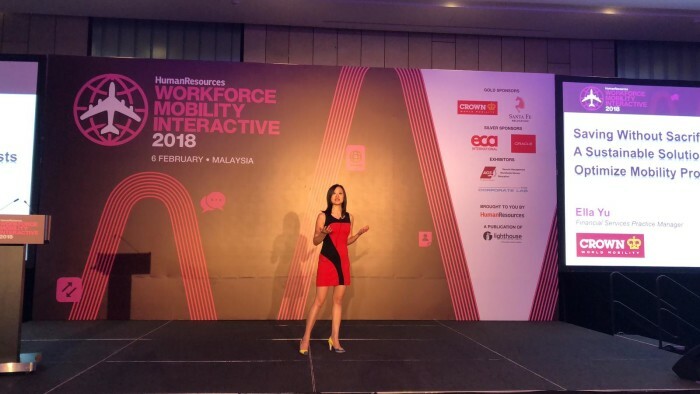 Today, with her topic on saving without sacrificing – a sustainable solution to optimise mobility programme costs, let’s give a warm welcome to Ella Yu, financial services practice manager at Crown World Mobility. Now it’s time for the first of four interactive sessions that we will be having today. 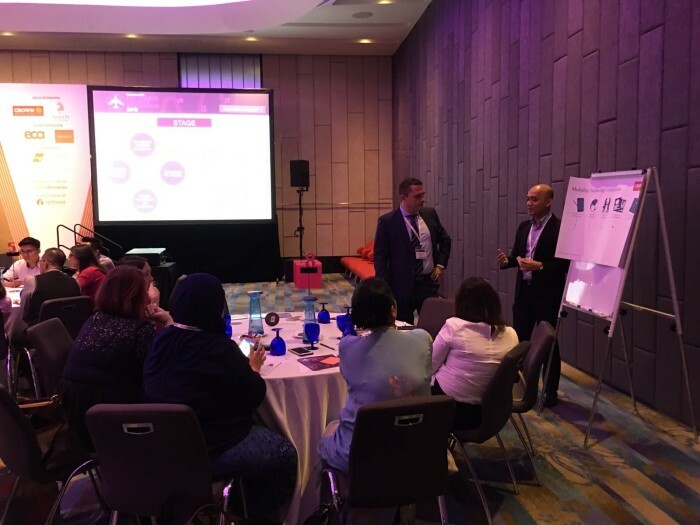 One of the topics would be on Compliance and Risk Navigation, with table hosts – Evon New, regional global mobility lead, APAC, Pfizer; and Sharifah Khalisha, immigration manager, Santa Fe Relocation. Our very first speaker has been the head of talent, learning and performance management for Citi Malaysia since 2013. Apart from being responsible for designing and executing talent initiatives to ensure the firm has the right people in the most critical roles, she is also in charge of developing successors for a pipeline of diverse talent. Her team focuses on enhancing managerial and leadership capability as well as enabling employees to drive their own development and careers. Today, she will be sharing her expert opinions on nurturing and optimising your global workforce by aligning mobility with talent management objectives. With that, let’s welcome head of talent, learning and performance management for Citi Malaysia, Michelle-Ann Iking. 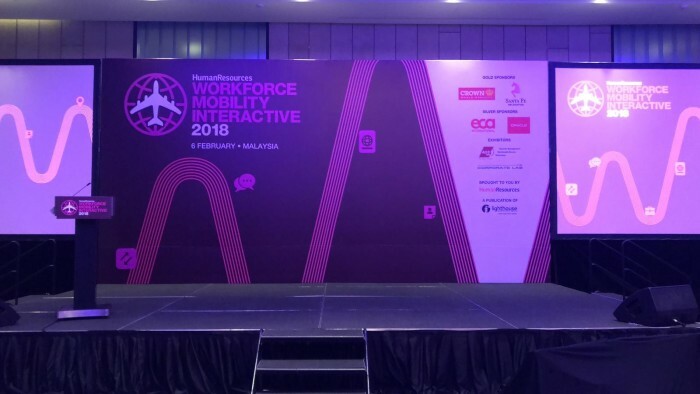 The registration counter is open and our team is all set to welcome today’s delegates at Workforce Mobility Interactive 2018, Malaysia.